The Eden World Tour Pro WTP900 is a stereo bass amplifier with versatile sounds and first-class features. Based on an analog hybrid circuit with tube preamp, the amp delivers both crystal-clear clean sounds and juicy overdrive, while the 5-band tone control with semi-parametric mid-bands allows particularly precise tuning of the sound character. In addition, a switchable compressor with ratio control and the Enhance filter typical of Eden amps are available, which creates a hi-fi sound image by emphasizing bass and treble. 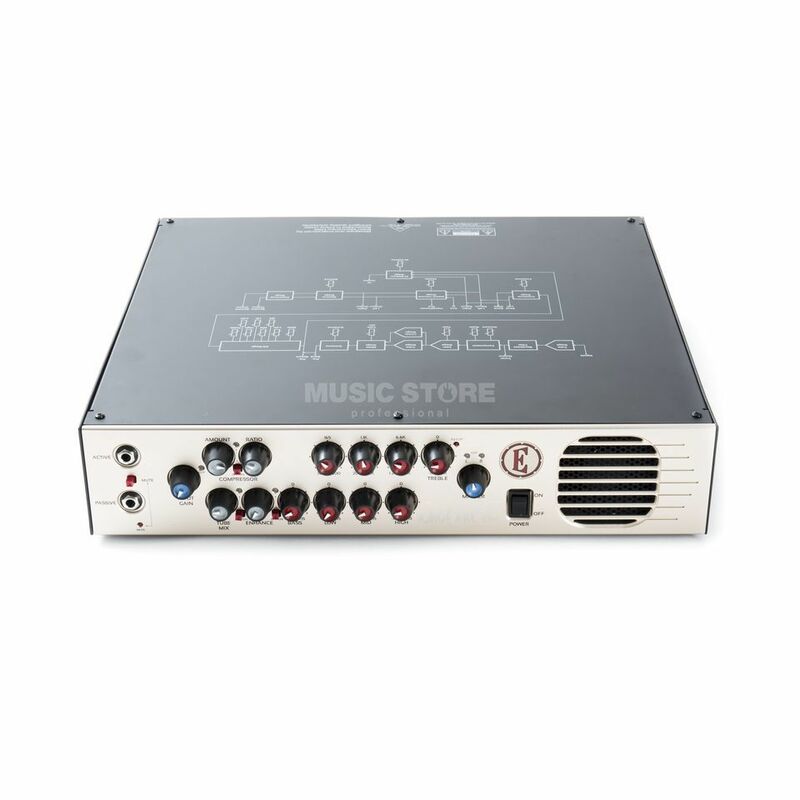 The power amplifier delivers either 450 watts twice in stereo mode or 900 watts in bridged mono mode, ensuring sufficient volume reserves for the large stages. The Eden WTP900 Head also offers a balanced DI output with pre/post switch and ground lift option, which allows easy removal of the bass signal on stage or in the recording studio.